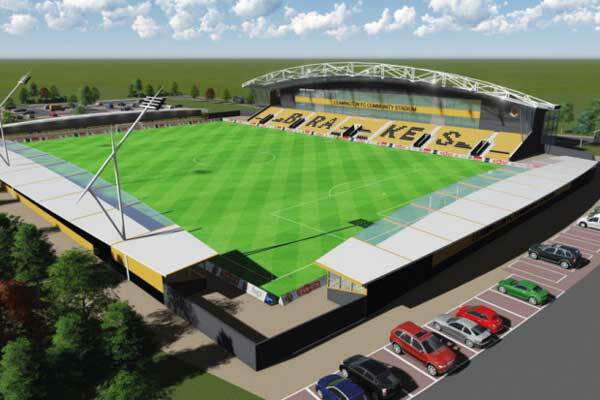 Plans for a new community stadium for Leamington Football Club have been approved by Warwick District Council. The local authority has agreed to buy the land near Leamington Spa town centre for the development of a new 5,000-capacity football stadium. Leamington FC, nicknamed the Brakes, currently play in the Southern League Premier Division. The council will now undertake a detailed study of the options for the new sports and community hub for the area, which could also include a new primary school, community hall and medical centre. Councillors also gave the go-ahead for Warwick District Council to acquire Leamington’s current Harbury Lane ground which has been identified as a possible location for a gypsy and traveller site.